Just a couple more weeks, loves, and then IT SHALL BE MINE. Oh yes, it will be mine. 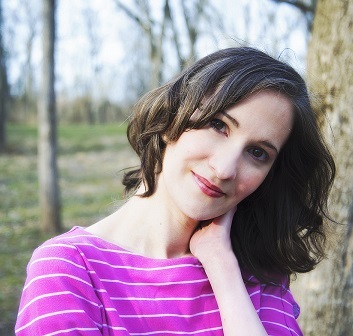 And now, take a gander at her new cover. Ahhhhhhh! So pretty! 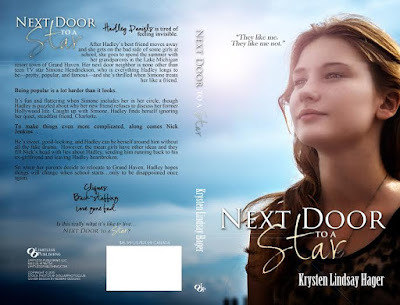 We are extremely excited to reveal the cover of NEXT DOOR TO A STAR by Krysten Lindsay Hager! 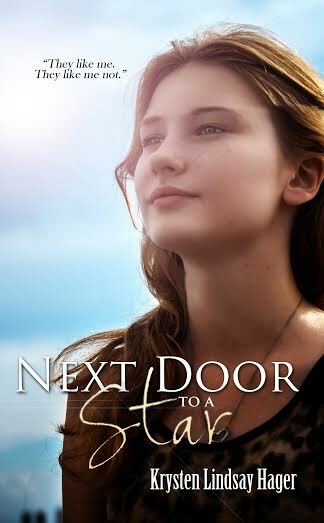 This Young Adult Romance releases September 1st! Thank you for posting today! Did ya see any stars last night? I went outside after I messaged you and I could see a ton of stars, but I didn't see anything move except airplanes. But I could have been looking in the wrong part of the sky. I heard it's supposed to be visible for a couple more days? Oddly I saw more when I was in the car on Tuesday night than I did standing in a field on Wednesday night--haha! That's so weird. I meant to try again last night (I think it was still happening, right? Or no?) and fell asleep instead. Psssh, meteor shower shmeteor shmower!